To reinforce our position as worldwide leader for sodium metal and vanadium based catalysts. To develop our presence on all continents and to supply a broad range of services associated with sodium and chlorine. To widen our portfolio of products based on alkali metals. MSSA is a Nippon Soda company. 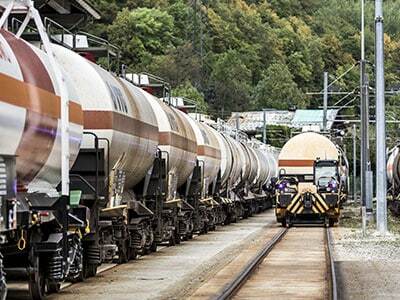 To supply chemical industries with an effective, flexible and competent service in 5 continents. To continuously improve the quality of our products and creating value for our customers. To completely assume our role as strategic supplier of dangerous products, while guaranteeing reliable and safe logistical services. Transferring our know-how to our customers by helping them to correctly and very safely use our products and by providing them with training and high-quality technical assistance. Developing our innovative abilities in the technical, logistical and marketing areas. Guaranteeing our development by respecting the environment. LA VOLTA creates a hydroelectric station and a chlorine- soda electrolysis at Pomblière, Saint Marcel (Savoie – France). The company Société d’Electro-Chimie takes over LA VOLTA, and sets up the first plant in France for the liquefaction of chlorine at Pomblière. The plant starts producing sodium metal by electrolysis of molten soda. Production of sodium metal by electrolysis of molten sodium chloride. 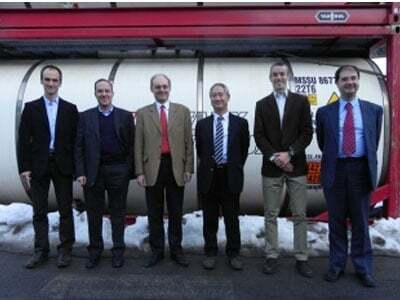 The first delivery of highly purified sodium is made to the French nuclear industry. Pechiney Ugine Kuhlmann (PUK) is formed as a result of the merger with Pechiney. A contract is signed for the supply of sodium to the SUPERPHENIX fast-breeder reactor. Métaux Spéciaux becomes the only sodium supplier for the Japanese fast breeder reactor in Monju. 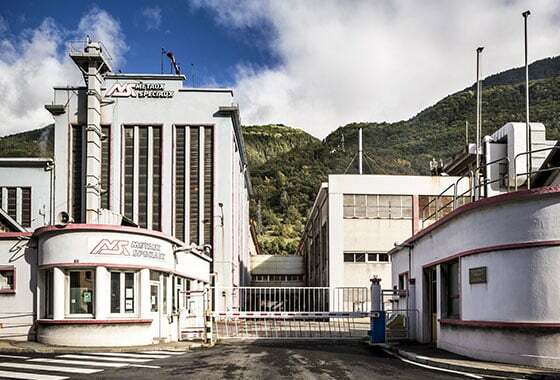 The Pomblière plant leaves Pechiney to become MSSA S.A., a subsidiary of International Alkaline S.A as a result of a Management Buy-Out carried out by the management with the backing of 3 financial shareholders. The capacity for the electrolysis of sodium is doubled. 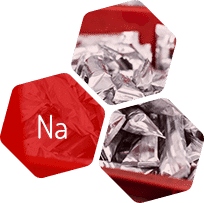 MSSA, the only producer of sodium in Europe, becomes the world’s number one producer of sodium metal thanks to its technology, production capacity, output, product quality, logistic capacity and packaging portfolio. Set-up of MSSA Company, the American subsidiary of MSSA, in charge of the sales and distribution of Métaux Spéciaux’s products in the United States. Start-up of a sodium logistic terminal in Texas and investment in a new sodium refining shop in Pomblière (SoPure). The Japanese Group Nippon Soda acquires Alkaline S.A.S. This industrial backing will allow MSSA Métaux Spéciaux and the Alkaline Group to continue its growth and innovation strategy with better opportunities. Start of production at the plant at La Rochelle, with an innovative process developed by EnviroCat, a subsidiary 100% owned by Alkaline. This workshop produces sodium methylate for biodiesel and various applications in advanced chemistry. Its maximum capacity is 25,000 tons per year. The Management Committee consists of Yasuyuki Miyazawa (President of Alkaline), Séverin Mathieu (President of MSSA SAS), Dimitri Rimbert (Commercial Director), Damien Cota (Financial Director), Philippe Mosca (Technical Director), and Paul-Olivier Léon (Administrative and Social Director). MSSA S.A.S. is a subsidiary of Alkaline which is 100% detained by the Japanese group Nippon Soda. MSSA Company is the wholly owned American subsidiary of MSSA S.A.S. 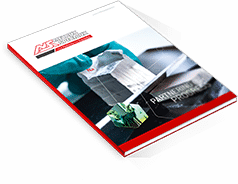 It is in charge of the sales and distribution of MSSA Métaux Spéciaux’s products in the United States. EnviroCat S.A.S. a fully owned subsidiary of Alkaline, markets sodium methylate produced in its new workshop at La Rochelle, for the biodiesel and advanced chemical markets. Cellmark Deutschland GmbH Sp. z o.o. Nisso Shoji (Taiwan) Co., Ltd.